The least is known about Henry's fifth wife. She was very young when she married the King (he was at least 30 years her senior) and she was only Queen for a short amount of time before her past caught up with her and she was executed for treason. Catherine grew up as the daughter of Lord Edmund Howard and Joyce Culpeper. Her uncle was the noble Duke of Norfolk and Catherine spent most of her early years in the service of his mother, the Dowager Duchess. She would probably have resided in one of the Duchesses great estates at either Horsham or Lambeth. Catherine wasn't overly wealthy like many of Henry's other wives. She lived in rather poor conditions in the Duchess's care and her family didn't have much money. She shared living space with the ladies-in-waiting and wasn't exactly given moral advice by them. Men were smuggled into the estate and Catherine engaged in numerous affairs, including one with her music teacher. The Duchess didn't provide Catherine with much in the line of moral guidance, but did jump at the chance of establishing Catherine in the English court after Henry VIII made away with Queen Anne's German ladies to replace them with English ones in 1540. Catherine's father was also interested in her move to London. 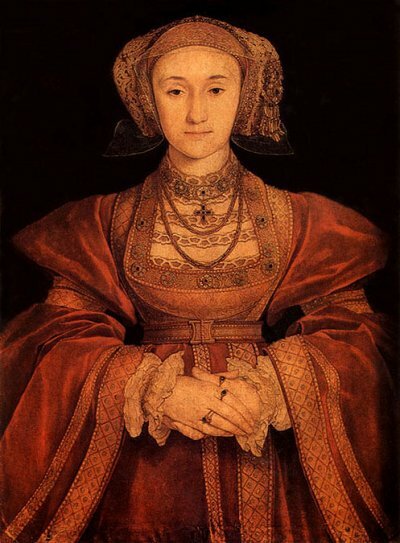 Catherine probably appeared in the King's court around the age of 19 as a lady of honor to Anne of Cleves. She wasn't there long before the King noticed her and began an affair. 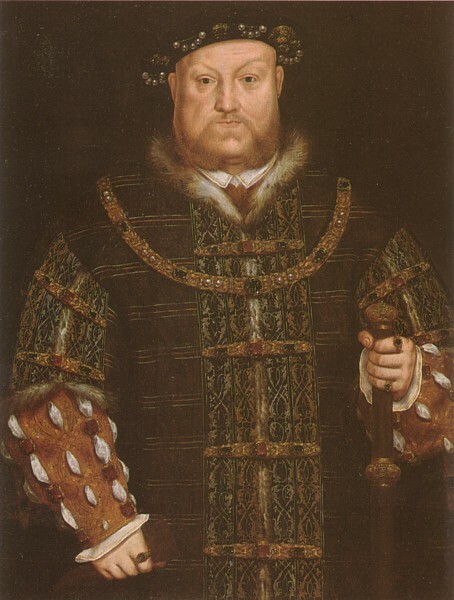 Even by standards of Tudor times, it seems comical to imagine a vivacious, young teenager as the consort of an aging, obese King. But Henry was revitalized by Catherine's lively spirit and it wasn't long before he wanted to make her his Queen. 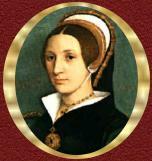 Only two weeks after his marriage to Anne was annulled, Catherine and Henry were married on July 28th, 1540. For the first year of their union, things seemed to go very well. Henry, who was now quite old for those days and disabled by an ulcerated leg, restored some of his former energy and took part in activities he once loved such as horse back riding. His "rose without a thorn" as he called her, was pampered with luxuries and gifts. The lively entertainments of the English royal court started up again and Catherine revelled in them. But Henry's rose would soon reveal a thorn. Many thorns to be exact. If Henry had not been King, he would hardly have qualified as a good match for Catherine. He was aging and had gained a lot of weight. He stunk from his ulcerated leg and may have been prematurly senile. It would seem natural for the vivacious Catherine to notice healthy, handsome men her own age, and she did. But Catherine's frivilous nature was (allegedly) also eager to act on these attractions. She appointed a former admirer to be her private secretary and secretly entertained Thomas Culpeper, one of her cousins. When Henry set out on an extensive trip in 1541, rumors began to fly of the Queen's infidelity. The Howard family was powerful and naturally had many enemies. When gossip of Catherine's indiscretions fell on their attentive ears, they set out to make sure it was revealed to the King. 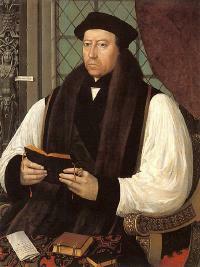 The task of gathering evidence against the Queen was given to Archbishop Thomas Cranmer. Since enemies of hers had planted evidence it was not difficult for Cranmer to notice any indiscretions she may have had. By the time Henry returned from his trip, Cranmer had gathered enough 'evidence' to approach the King. Henry's intial reaction was not rage, but disbelief. He supposedly broke out into tears. Despite his unwillingness to believe anything bad about his wife (he had previously jailed gossipers for such things) Henry ordered that further investigations be made, perhaps with the hope that the accusations would turn out false. Unfortunatly, Henry's inquisition would only make matters worse. 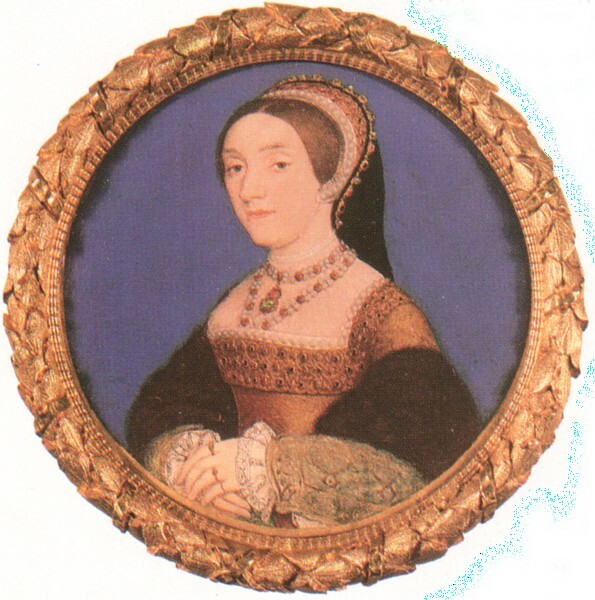 Catherine's affairs before her marriage to Henry were discovered and allegations were made that she had not come to be his wife as purely as Henry had thought. It was also alleged that Catherine had made a previous marriage promise to Francis Dereham before her marriage to the King. When Catherine was made aware of charges of treason against her, she broke out into hysterics and denied any and all accusations against her. The then Princess Elizabeth would later recall the screams of her step-mother as she was dragged down the halls of Hampton Court by Henry's men after trying to get an audience with the King to plead her case. Catherine's denials would do her no good. She was tried, convicted, and sentenced to death by beheading. Her supposed lovers were also condemned. Francis Dereham and Thomas Culpepper were both hanged and their heads were placed on Tower Bridge. Catherine was executed herself on February 13th, 1542. Catherine was different from Henry's other wives for various reasons. It was believed by most that he was incredibly in love with her. Thomas Cranmer would state that "The King's affection was so marvelously set upon that gentlewoman, as it was never known that he had the like to any woman." He showed her great amounts of affection in public, more so than he did with his former wives. Instead of angrily throwing her to the chopping block after hearing of her supposed infidelities, Henry refused to believe that his rose could ever betray him. But, if the allegations against Catherine were true, she must have been very brave. Braver even than Anne Boleyn with her quick wit and sharp tongue. Either that or she was incredibly stupid. Catherine was buried near her cousin, Anne Boleyn, at the Chapel of Saint Peter ad Vincula. Fitting, since they both shared the same cruel fate. 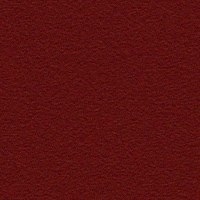 However, Catherine's spirit lives on. 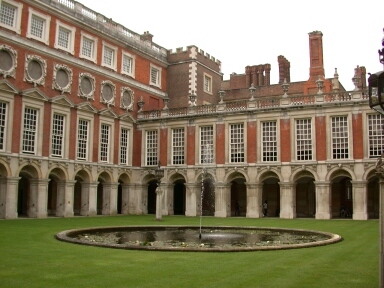 Hampton Court is now a popular tourist attraction in London partially due to the fact that Catherine is said to haunt it. Some visitors have sworn to hearing her screams in the halls and seeing her running through the gallery. Employees of the palace put off plays depicting her life and death. Recent ghost-hunting in the palace has revealed certain 'hot-spots' in areas where people claim to have seen her.